National Tourist Route Andøya offers a magnificent view of white sandy beaches, cragged packs and the wide expanse of the ocean. The drive over Andøya island is characterised by an impression of wide marshes, with mountain peaks rising abruptly to 700 m.a.s.l. National Tourist Route Andøya runs along the outer edge of Andøya island, offering magnificent views of white sandy beaches, cragged peaks and the wide expanse of the ocean. Wide marshes with mountain peaks rising abruptly to 700 metres above sea level create a striking impression. Andøya island has three nature reserves; with its rock from many different epochs, the island has been called a living geology textbook. The Gulf Stream is responsible for the islands relatively mild climate, and its proximity to the Eggakanten continental shelf break makes whales and seals a common sight. Deep-sea fishing and trips to the bird colonies at nearby Bleiksøya island provide other opportunities for adventure. 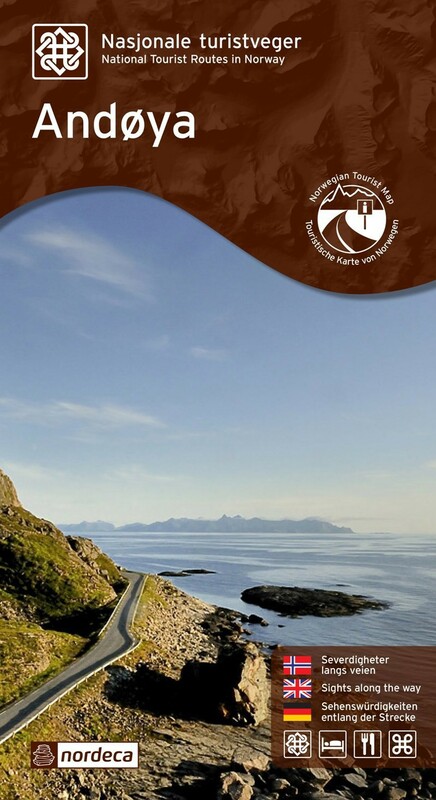 National Tourist Route Andøya is a 58 kilometre long drive between Andenes and Bjørnskinn (County Roads 974/976/82). In the summer season a ferry provides a direct connection to National Tourist Route Senja. Combining the routes across Andøya and Senja offers an alternative to Euroroute 6 and the Hurtigruten coastal liner.